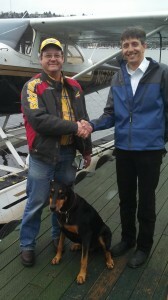 Pete and his CFI, James. I’m happy for them! Well, spring is definitely on its way to us here in Seattle. The daffodils are blooming, the cherry trees are blossoming, the geese are honking….. yep, springtime is coming! We have a newly-rated ASES pilot! 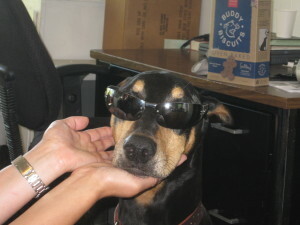 His name is Pete, and he just wrapped up his checkride. Pete lives all the way out in Dutch Harbor, Alaska, which is a long way away. It was fun to show him some “bush flying” in the middle of the city! Come see us – come fly with us! Or, come get a gift certificate for a loved one: it’s never too early to start planning for graduations, Mothers Day, Fathers Day….. let’s do this! 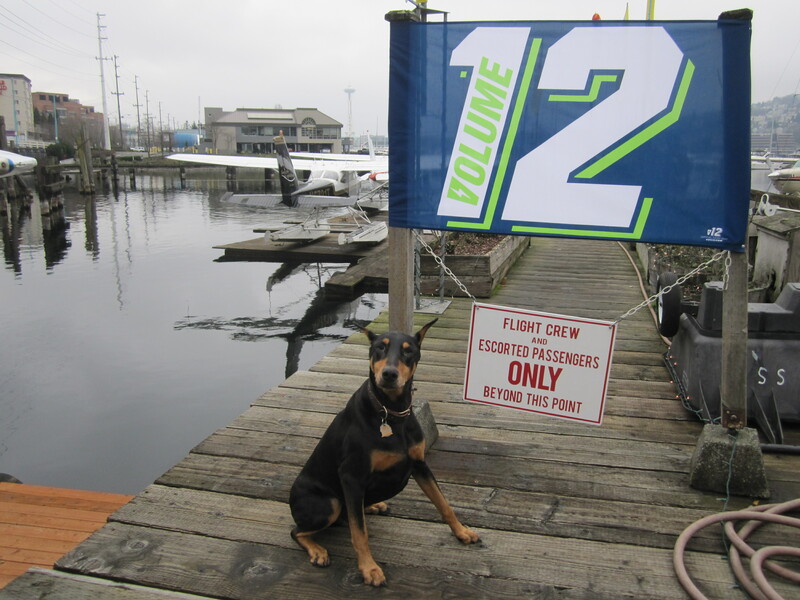 Look for our Seattle Seaplanes banner… and this red sign! I’ve finally caught my breath after the exciting time of the Super Bowl. I’ll bet you already know this, but I’ll say it again: The Seattle Seahawks are the Super Bowl Champions!! So, it’s also one of my favorite times of the year: it’s time for the Northwest Aviation Conference and Trade Show! We’ll be there as always, in booth #630. We have chocolate! We also have a special offer for you, if you’re a pilot who has been “kicking the tires” on getting an ASES rating. We’re knocking 10% off our usual rate of $260/hr, if you sign up at the show, and start your training by June 30, 2014. A great deal! Alas, the trade show has a rule: No Dogs. 🙁 So, I won’t be there… except in spirit. So, stop by the booth to see us! Greetings from the home of the 12th Man**, Seattle, Washington. They asked me to predict who would win Super Bowl XLVIII. Both worthy teams, the #1 defense of the Seahawks (can I get a “LEGION OF BOOM? !”) vs. the #1 offense of the Broncos, with the legendary Peyton Manning at QB. It’s going to be quite a game!! So, who’s going to win?! Click here to find out! Happy New Year, Happy New ASES Pilot, Happy Playoffs! We’ve had a busy winter so far here at Seattle Seaplanes. Even though the weather doesn’t always cooperate, we have been able to fly most days, and it’s been beautiful! My friend Jim – is that a cookie in his hand? 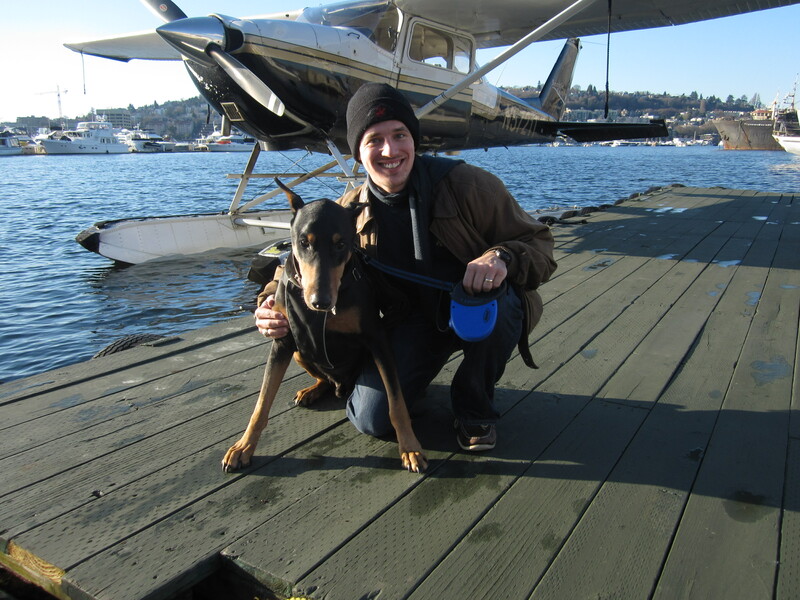 Posted in Flight Training, holidays, Sports, Toby, Weather	| Tagged doberman toby seaplane lakeunion, seahawks	| Comments Off on Happy New Year, Happy New ASES Pilot, Happy Playoffs! Hey, everybody! Happy Holidays! We all enjoyed our US Thanksgiving recently, and then had a bunch of fun flying with a couple of cool guys: Brennin, and Matt. They both came to Seattle Seaplanes to earn their ASES ratings, and we all had a good time! 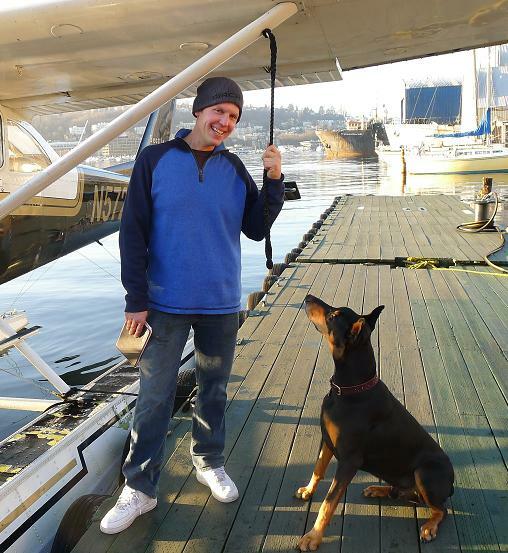 Matt came to us from Michigan, where he gets to watch seaplanes take off and land on some of the small lakes near his house. He was out here to visit family on Joint Base Lewis-McChord, and decided it would be a great time to earn his float rating. We sure had fun! 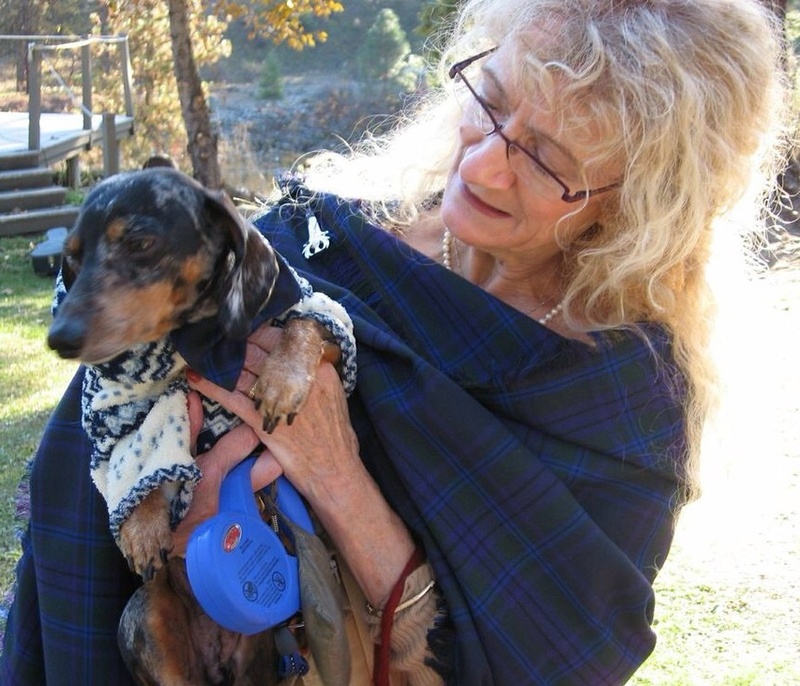 Well, it’s been a while since I’ve had a chance to update my blog….. I’ve been a busy dog! Kit and Nancy are longtime partners, and thanks to a law passed last year in our home state of Washington, they were able to wed legally. 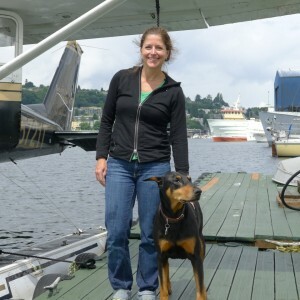 Kit’s one of our pilots here at Seattle Seaplanes, and Nancy is a Senior Lecturer at the University of Washington Information School. It was a beautiful fall day up in the Cascade mountains, and lots of people from near and far were there. I even saw my friend Nicole from the Netherlands! Come see us down here on Lake Union! And congrats to Kit and Nancy! Can you believe that summer’s almost over? (well, except if you’re south of the Equator, of course) We hope you’ve been having a good one, and that you’re also ready for the change in seasons. We’ve had a great summer here — made lots of new friends, and greeted old friends, too. I just wanted to take a moment to say Thanks to everyone who visited us this year! Come see us! Come fly with us! Captain Nicole and her instructor, Kit! We’ve sure been busy around here – lots of flights, lots of checkrides! I’ve made some great new friends, from as far away as Holland, from Kansas City, and also from nearby – southeast King County. It’s been a blast! 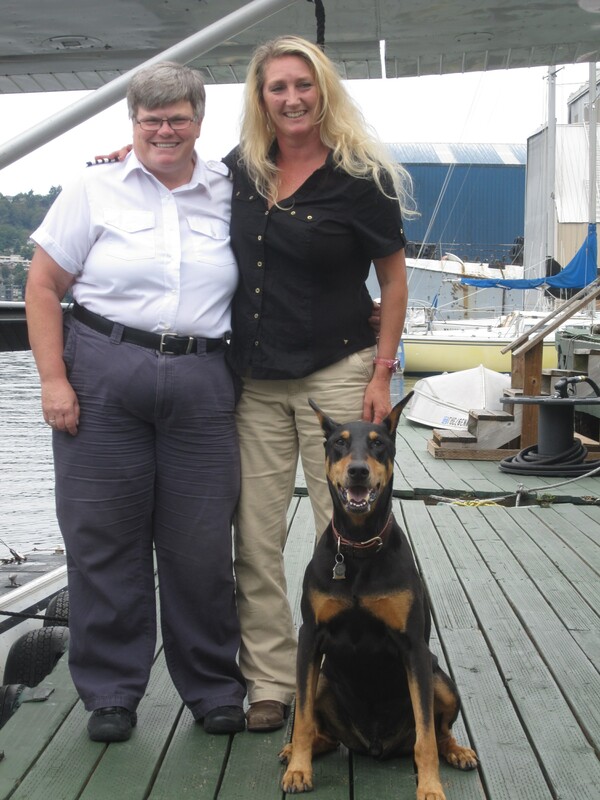 My friend Nicole comes from the Netherlands, and when she’s not flying seaplanes, she’s a captain for KLM Royal Dutch Airlines. She flies a great big 747-400! But she says she loves the thrill of going “low and slow” in the seaplane. I had fun playing with her children and husband, too, while she flew. 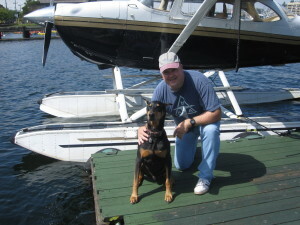 My pal Dan lives here in the Seattle area, and he visited our booth at the Pacific Northwest Aviation Trade Show last February. 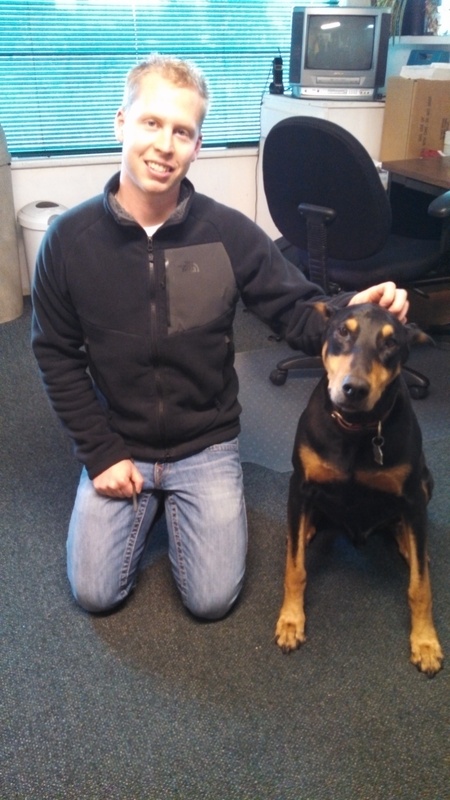 He took us up on our trade show offer of 10% off the ASES rating, and we’re glad he did. Dan works for the FAA, keeping an eye on towers and obstacles around here for us. Thank goodness! Lake Union is a busy place these days, with construction and so forth. 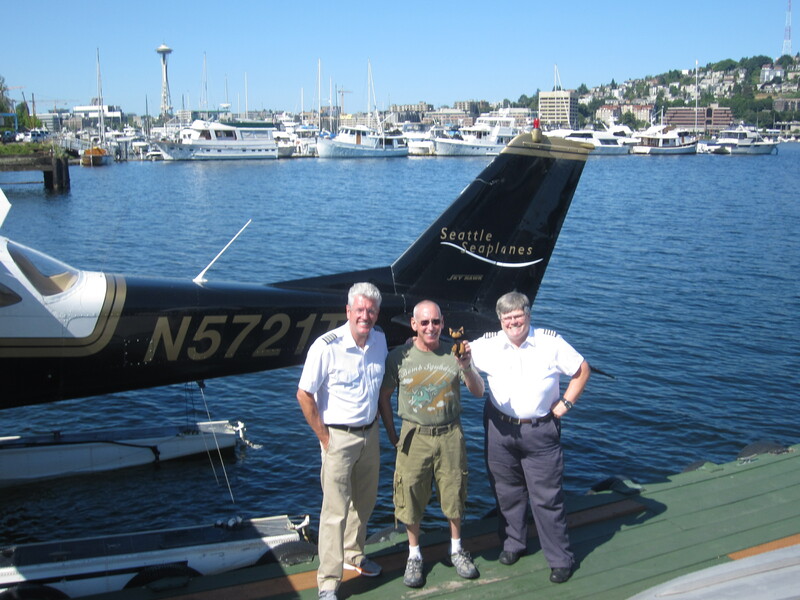 So, you see, you can live here in Seattle or come to us from far away – come fly with us, and get your seaplane rating, too! It’s been a really exciting week around here — we had two student pilots solo on the same day! First up, Anne. She and my “dad” went up in the morning, and he pronounced her ready to leave the nest (well, that’s not what he said, but it’s the same idea!) 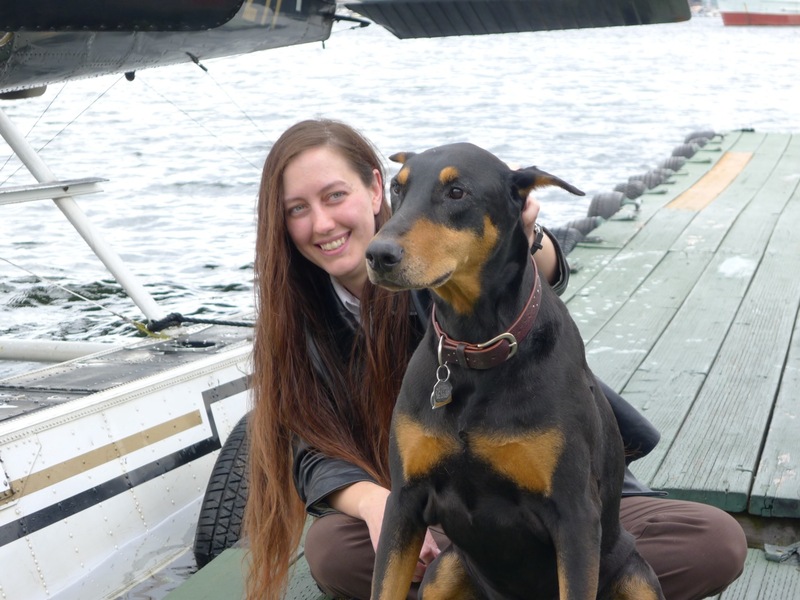 She expertly flew the airplane around the west side of Bainbridge Island, and beached it herself at the end of her solo flight. I’m so proud of her! And, then in the afternoon, my pal Yvette got to go all by herself around Lake Union! 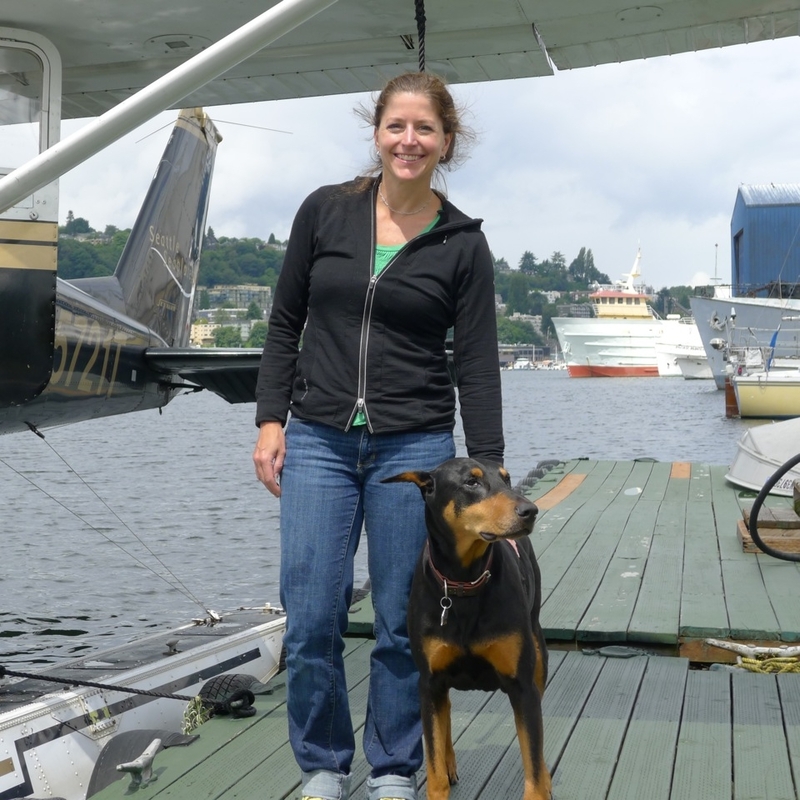 She claims that the taxi time to the north end of the lake was “the longest 10 minutes of my life.” Just like a pro, though – she took it around Lake Union all by herself, then taxied up to the dock to greet me. I’m always so happy when we have happy pilots! It’s the thrill of a lifetime, the first solo flight. And to have two of them on one day? Priceless. Come fly with us! 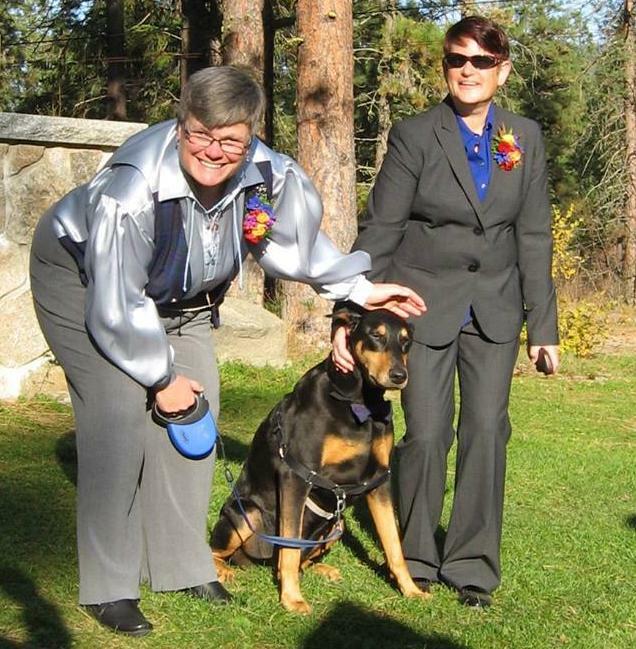 And, congrats to my flying gal pals, Anne and Yvette! Nate, Kit, John, Steven, and me! We’re busy as my dad’s honeybees around here these days! Spring’s sliding into summer, the cruise ships are back in town, and people are starting to think about seaplanes! It always seems to be more fun when the sun is shining, although we think it’s beautiful any time you go…. We have a new pilot in town! His name is John, and he’s here for some flying this summer (when he’s not flying his corporate jet, that is.) John has quite a varied flying career, and I’m glad he’s here. He’ll be flying here when he can, and he calls it his “summer camp.” Yay! Coincidentally, two of John’s friends, who are also friends of my pal Kit, were in town recently: Steven and Nate. 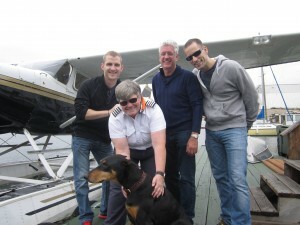 Steven is the Executive Director of the National Gay Pilots Association (NGPA,) and Nate is his partner. John and Kit are also members. It’s a fine organization with lots of outreach – John is here this summer because he met Kit at a NGPA meetup in Palm Springs earlier this year! If you’d like more information about this fabulous group, click here. Stop on by to see us this summer – and meet John!